80% of the population will develop disabling back pain at some point in their life, and at any one time 20% of the population is experiencing back pain….think of that next time you sit in a crowded room – 1 in 5 of you is suffering. Low back pain costs the NHS and our society in general millions of pounds every year. Chiropractors are increasingly being used to help manage back pain, and research puts chiropractic treatment over hospital treatment for the treatment of low back pain. Guidelines published from the government to GPs recommend early referral for manipulative treatment such as chiropractic to prevent developing a chronic recurring condition. Pain from the lower back can affect anywhere in the lower limb. Commonly the pain will refer into the buttock and the back or front of the thigh and occasionally all the way to the foot and toes. This may be associated with some numbness, tingling or pins and needles. Muscular pain is classically like a dull toothache. Often the patient is very stiff and uncomfortable with any static positions such as sitting or standing for too long. Muscular problems are often associated with marked morning stiffness, Patients usually get relief from keeping gently mobile unless they get muscle spasms, which can be very acute and severe and often confused with a trapped nerve. 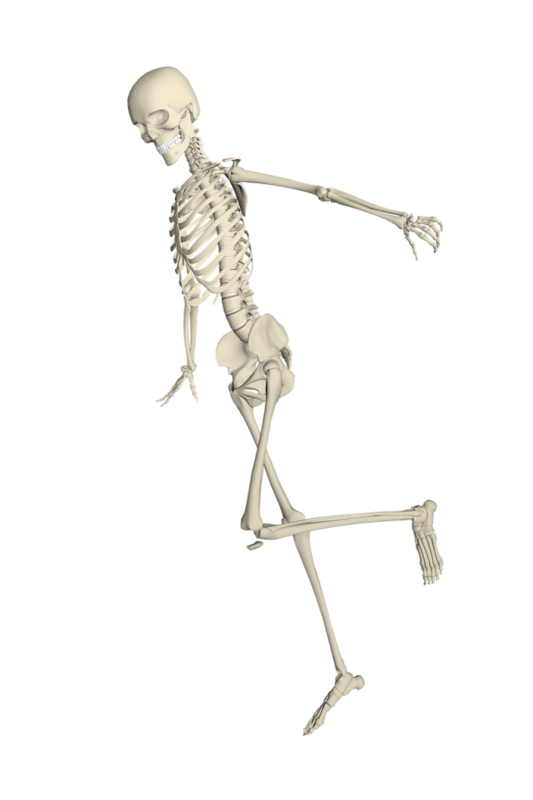 Joint pain is usually sharper and often associated with “twinges” on movements such as twisting to get in and out of the car. Commonly these patients will have a tilt of the spine, either forward or to one side – check in your mirror, you might be surprised! Nerve pain from the lower back very rarely gives pain here. It will usually give pain into the leg with little or no back pain. The nerve can be trapped by a disc, a bone or even from some soft tissues. A common myth is that all acute low back pain is caused by a “slipped disc”. Discs DON’T slip – they can bulge out like a car tire (a herniation or a prolapse) and when they do, they usually cause leg pain or sciatica. By far the majority of chronic back pain patients do not remember a specific incident to start the condition. Usually it just appears, and often steadily worsens. 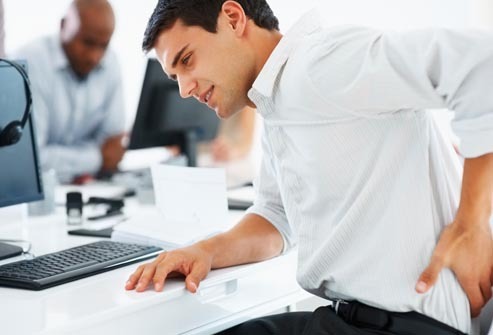 This is can be as a result of an accumulative overload of the structures of the lower back from problems such as poor posture, repetitive or awkward work positions, prolonged sitting or driving etc. Occasionally patients may feel something “go” in their back with either an awkward twist or bend (or both) or a heavy lift. This may cause only a slight twinge initially, which gradually worsens hours later as inflammation and muscle spasm settles in. Very often it can be the slightest little movement that can give acute pain. Patients often report having worked very hard in the garden for hours with no problems, and then “pulling” their back bending down to pick up a piece of paper. This may indicate a weakness in the deep muscles of the back which help control spinal movement. Spondylosis or spondylitis is occasionally found on X-rays. This is often termed osteo-arthritis and is usually not as bad as it sounds. It is a degenerative process in the joints which cause them to wear, and occurs in most people as we get older. It is rarely the wear and tear that causes the pain, rather it is the stiffness and muscle tightness which usually responds very well to chiropractic treatment.